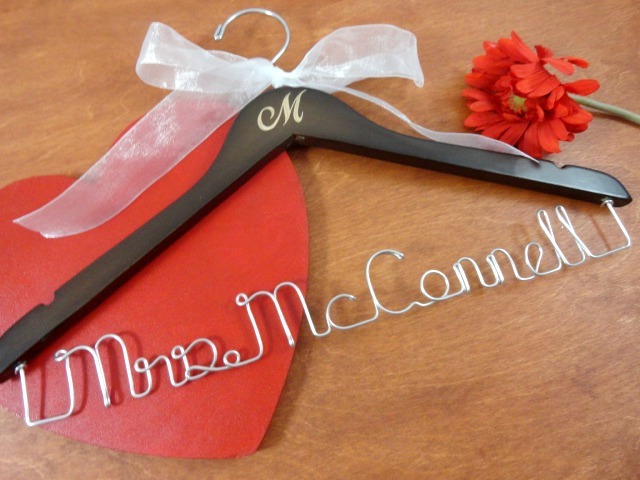 This lovely hanger is simple yet sweet. 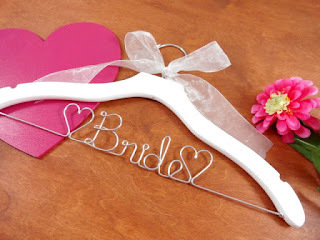 Your wedding dress will look lovely hanging on it. They don't have to be personalized to be nice. I sell a variety of wedding hangers. A little something for everyone. 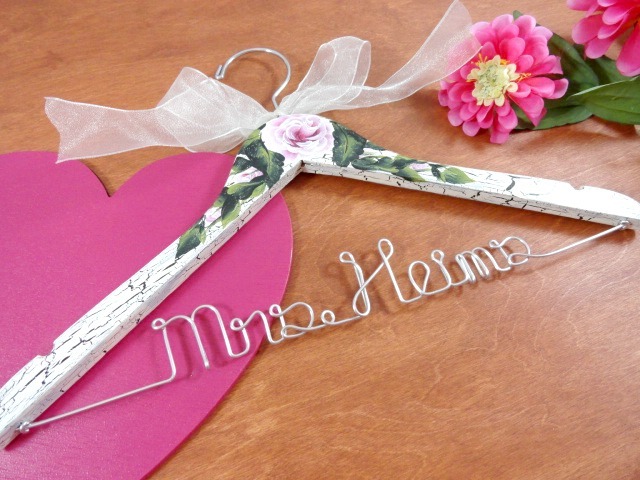 We even create our own handmade hangers. Come check it out and see what you can find. 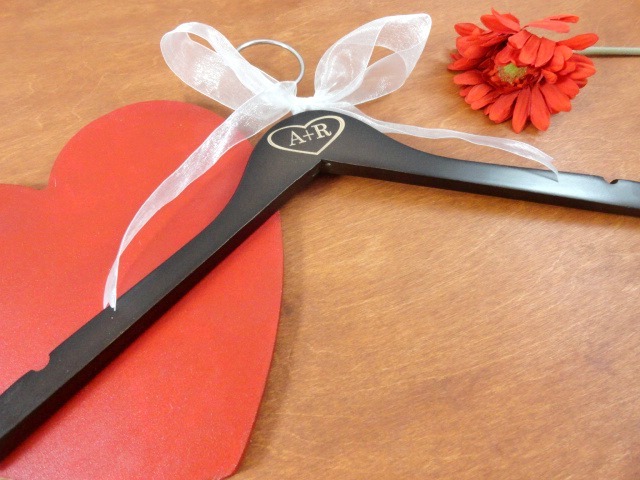 Most of my hangers are still 20% off!! What a great time to buy for an upcoming wedding or bridal shower. Brides just love them! You can't go wrong with a gift like this!